If you're interested in testing the Microsoft Edge for iOS preview, there is an update available that adds some new features. First of all, you'll be able to open Edge from your iPhone lock screen using Siri shortcuts. This will require you to create a command for Siri (for example, "Hey Siri, open Edge") that will do the job. And now, when you do open Edge, you have the option of starting up where you last left off, or starting new with a fresh tab. In addition, the browser widget on the Today screen can now be used to get you to quick actions and top sites. And to see quick actions, you can also press and hold buttons in the bottom bar. The new version of the preview is version 42.6.1. The version currently in the App Store is 42.5.3. 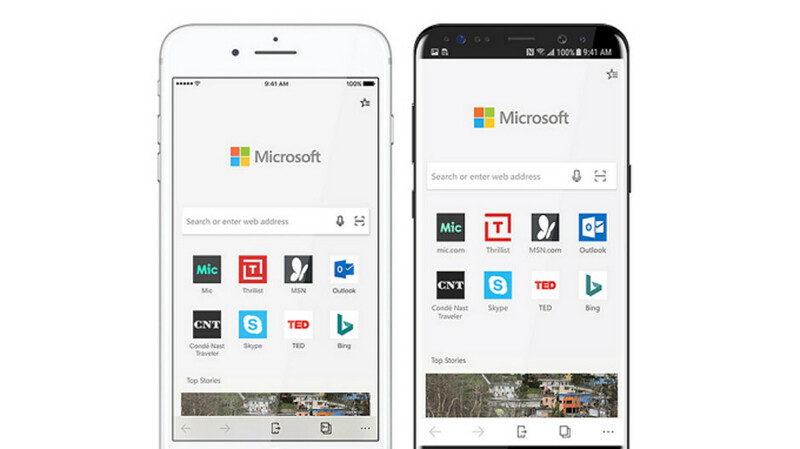 To test the preview of Microsoft Edge for iOS, open the TestFlight app on your iOS device and update Microsoft Edge. If you'd rather wait for the App Store version of Edge to be updated, you can do that too. The thing is, we don't know when that update will be disseminated, and there is no guarantee that all four new features will be included in the App Store update. To install TestFlight on your iOS device, click on this link. Well done to Microsoft for supporting the best mobile OS out there!